With the beautiful and attractive Jewellery articles all women love to adorn themselves. Bracelets where known as armlets which means an ornament which sits on the upper arm or rather an arm ring. The origin of the term Bracelet is from the Latin word brachile meaning of the arm which is through the old French word barcel. From last decades all jewellery items are reserved for women only. To enhance the beauty of a woman and make her appear cheerful and full of life wonderful and gorgeous brooches, bangles, necklaces, anklets and Bracelets serve. You would never see a man other than a pirate, wearing an earring or having any portion of his body pierced with an ornament. But nowadays men are also interested to wear jewellery items. So there are many jewellery items that worn by men also. These items include a bangle called as kada, Bracelets, earrings, chains, cuff links etc. Indian women wear bangles whose type and number denotes her marital status. Link Bracelets can be made of a variety of materials included metals and gemstones. 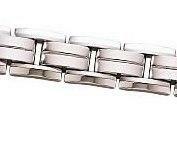 Bracelets are the most popular item for men. Every man does not wear Bracelets but some are interested to wear it. These days, men wear a wide range of Jewellery, and many are influenced by hip-hop culture to get jewel-encrusted rings, necklaces and teeth covers. There will not be many men out there sporting a Bracelet on either their wrist or their ankle. Sometimes, a man can get away with a Bracelet if it has the name of his wife or children on it. Bracelets are also used for medical and identification purposes, such as allergy Bracelets and hospital patient-identification tags. A Bracelet is an ornament which worn around the wrist. 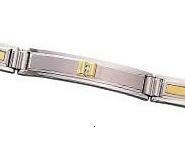 The Bracelets have a provision for opening at the hinge unlike bangles, which can be just slipped on to your wrists. They can be smooth, textured or set with stones. That type of Jewellery has not quite caught the fancy of men. There are many materials are used for making of Bracelets. This material includes gold, silver, white gold, leather, plastic, cloth, wood, rocks or shells etc. Bracelets that are in solid form, usually some metal, are referred to as bangles or bangle Bracelets. A charm Bracelet is an item of jewelry worn around the wrist. As jewellery making business is a profitable industry a lot of people entering to this business. The most important fact is jewellery never goes out of fashion. There is now a huge collection of Jewellery display supplies that can be found on a number of websites online. To produce sports Bracelets colored silicone rubber is used as a material. In May 2004 it was popularized by Nike and Lance Armstrong through the Yellow Livestrong wristband. Their success has led to the silicone Bracelet becoming a low cost tool for various awareness, information, and charity campaigns. Glass bangles are made from ordinary glass that is about 1/4 � 1/8 inch in width, they are worn in groups so that arm movement causes them to make a pleasant sound rather like the clinking of wind chimes. A charm Bracelet is an item of jewelry worn around the wrist. These Bracelets are trendy and fashionable. While traditional charms bangle, charms feature individual pieces soldered flat onto the surface of the link. The tennis Bracelet incident sparked a new name for the item and sparked a huge jewelry trend. Tennis Bracelets continued to be worn by various tennis stars like Serena Williams and Gabriela Sabatini. In India, glass bangles are common. It carries personal charms: decorative pendants or trinkets which are signifiers of important things in the wearer�s life. In the early days slap Bracelets flat, felt-covered metal strips that curved around one�s wrist when gently hit against it were a popular fad. Ancient Egyptians made Bracelets out of bones, stones and wood for religious and spiritual interest. Scarab is a god according to mythology pushed the sun across the sky. Bracelets made from beads are fairly common in Southwestern American Indian Jewelry lore. Bulgarians follow a tradition called Martenitsa which means tying a red and white string around the wrist to please Baba Marta to make spring come early. The diamond Bracelet that features a symmetrical pattern of diamonds is called a tennis Bracelet. The Scarab Bracelet is a symbol of ancient Egypt and was wrapped along with linen bandages of mummies. In Latin Amercian Bracelets were worn to protect against evil eye. 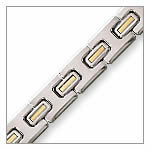 Bracelets made in gold, platinum, silver or steel are a fashion statement today. They are worn by both men and women though there are variations in style and types of gemstones used. They are often multi-colored however frequently a predominance of turquoise has. This is the result of excessive admiration or jealour looks by other people. She was wearing an elegant, diamond Bracelet, which accidentally broke and the match was interrupted to allow Chris to recover her precious diamonds. Let us now look at the origin of Bracelets. Bracelets made from connecting or linking various or similar components or jewelry findings. Newborn babies wear azabache a gold Bracelet or necklace with black or red coral charm in the form of fist to protect them from evil eye.